How long does it take TESLA to register new user on APP. Discussion in 'Model S: User Interface' started by usa9910, May 30, 2018. I am buying a TESLA this Monday (P85) and wanted to know how long does it take TESLA to update the vehicle ownership and when can i start using the app? After i sign the papers, i will call TESLA and let them know I am the owner..what are the next steps? Mine worked on the way home from picking it up. I bought mine direct from Tesla and it took 2-3 days to get the app up and running. I had to call Tesla customer support, ensure the car was properly registered to my account before I could log in. I sold my 2013 S to its new owner via Tesla when I purchased my new Model X (Convenience Sale). I could still "see" my old car on the app along with my new one for about a day. In my case, it took almost a month before Tesla added the car I bought privately to my Tesla account. In addition to the documentation that I emailed to them (registration, driving license, etc. 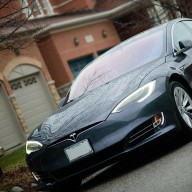 ), Tesla also waited until they received confirmation of the transfer of ownership from the previous owner. The previous owners had gone to a holiday home in another country and their domestic staff only took interest when I suggested that my service would be booked on the previous owner's account.